Thanksgiving is about different things to different people. Whether it's about food, family, friends, or the opportunity to have at least one day off of work, there's one common thread that brings us all together -- chairs. Yep, those humble little guys give us a place to rest our bums whilst eating, chatting, or just plain ol' sitting. 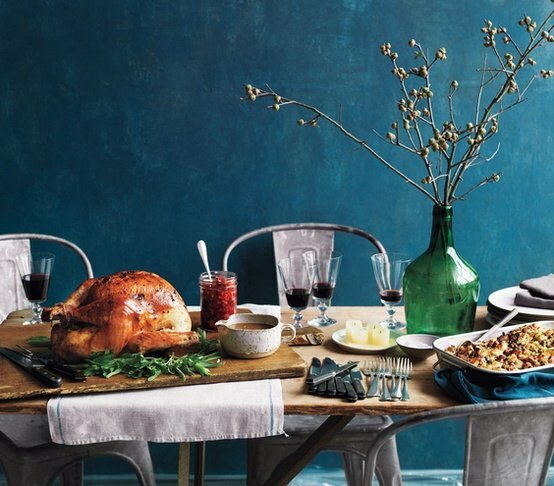 Enjoy the homage we're paying to some of our favorite classics and more, either sitting pretty around a Thanksgiving table or solo by the fire. 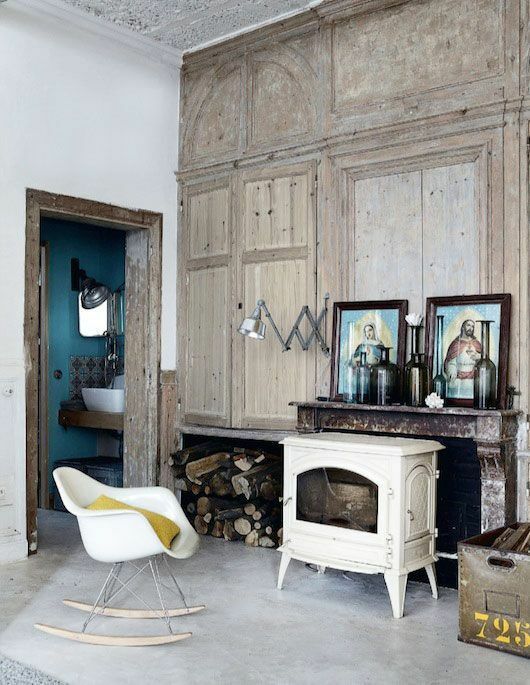 Eames Rocker by the [unlit] fireplace. Only thing missing is sheep skin! More Eames this Thanksgiving. We're thankful, Ray and Charles! 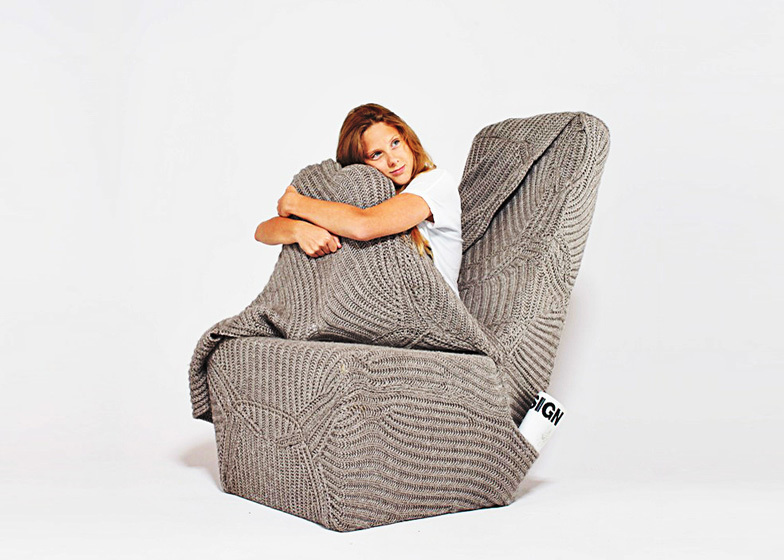 The Tolix Marais A Chair by Pauchard proves, yet again, to be so versatile! Though you might want a cushion if you plan on sitting here very long. Just right for post-dinner food coma. 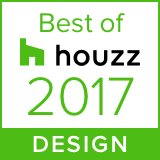 Brilliant design, Aga Brzostek! This Bertoia Side Chair instantly become cozier when fur's involved. 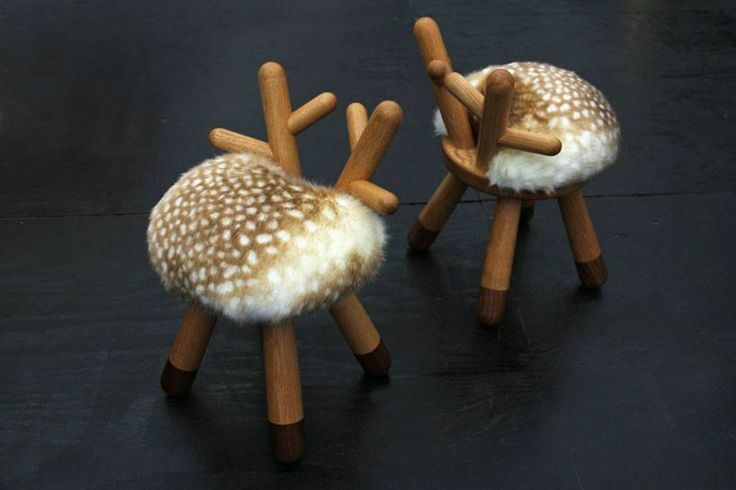 I want to gobble up these adorable Bambi Chairs!